Would you like a gate that expresses your unique style but have little idea what’s available? You don’t have to settle for a regular gate that looks like your neighbour’s and your neighbour’s neighbour’s – your gate can be an extension of your property’s architectural style or your individual style. 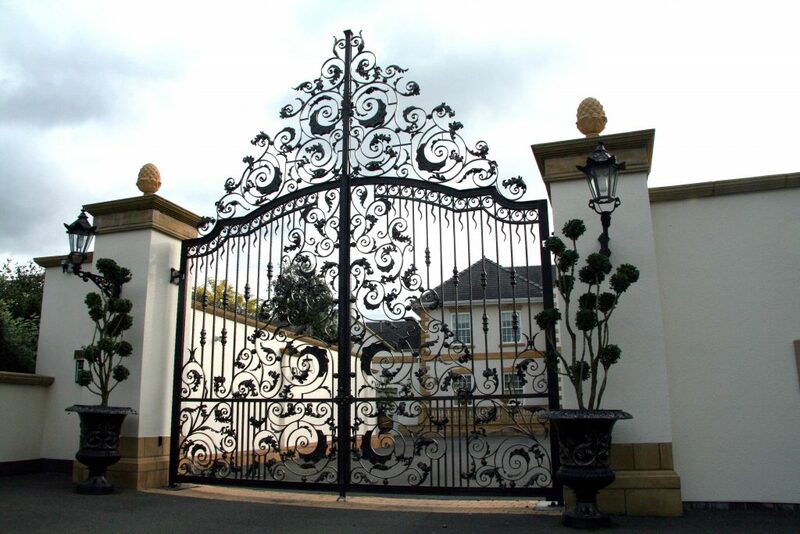 Start by viewing our extensive range of gate designs, this can give you a good idea of what can be done and help you narrow your ideas down. Our designs are purely for inspiration, you might wish to leave them exactly the way they are or make some alterations to suit your own style. 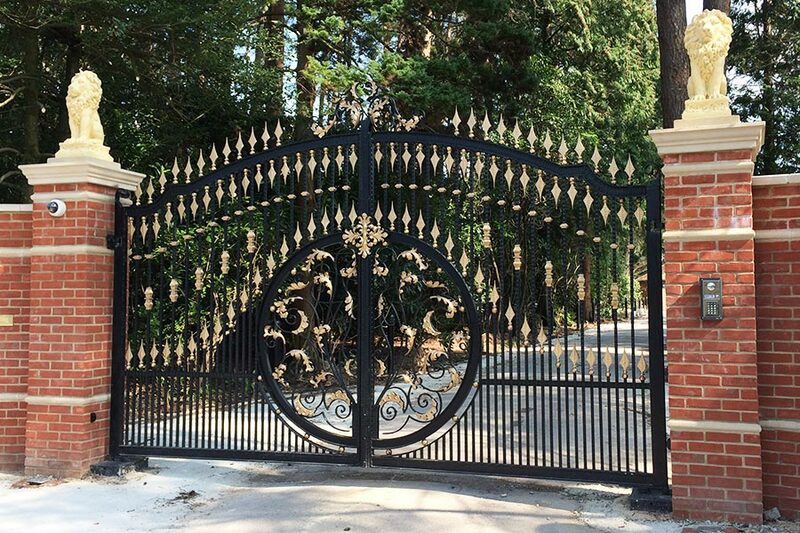 If you like different parts of different gates don’t be afraid to mix and match and come up with a whole new design, use your imagination. There isn’t much that we can’t do – if it can be drawn, it can be built. Your gates can be painted in any way and in any colour you would like. For the more extravagant option we have Everlasting Gold paint which can be applied fully to certain details such as Railheads, Bushes, Cages etc. to give that Midas Touch. We also have gold, silver and bronze patina which is brushed very lightly over the contours to highlight the detail in the design. 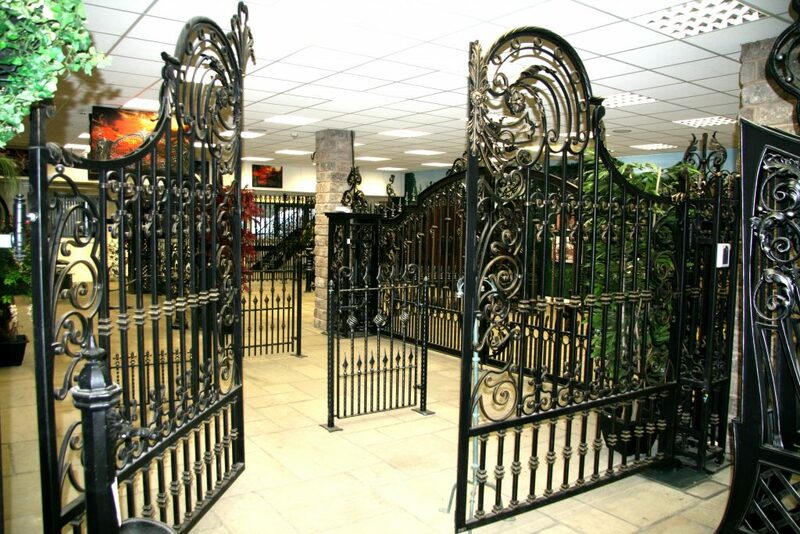 Come and take a look around our showroom in Nelson, Lancashire, seeing the gates up close in real life rather than photographs allows you to see and feel the real details of the designs. This is also our workshop where we fabricate all of our ironwork, we can happily give you a tour around the factory and paint shop to give you more of an understanding of what we do. If you have a design in mind get in touch and we can discuss your ideas, we always welcome a challenge!